Only two more sleeps, wow that’s gone quick hasn’t it? Winter solstice is over for another year and the days are getting longer again, well in the northern hemisphere at least. Any how that means that it must be December 23rd and day 23 of this years Advent Calendar blog post. Regular readers will have quickly worked out that the 23rd letter of the alphabet is ‘W’. 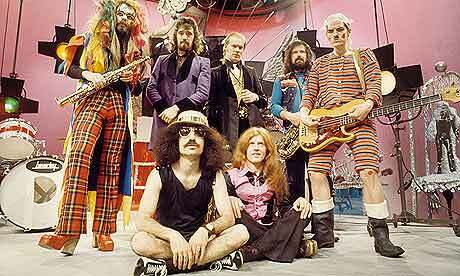 This years subject is the ABC of British bands and for today I have chosen a band who once recorded a true Christmas classic, ladies and gentlemen please welcome Wizzard to this years advent calendar posts! 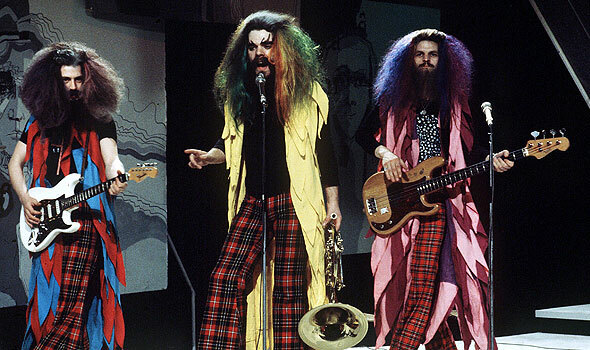 Roy Wood, the founder of Wizzard was also a leading light in the Move and co-founder along with Jeff Lynne of the Electric Light Orchestra (ELO). After the first ELO album Roy was moving apart from jeff Lynne both personally and musically. 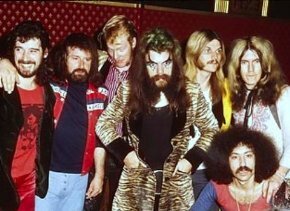 he left the band to form Wizzard and the The Guinness Book of 500 Number One Hits says, ‘Wizzard was Roy Wood just as much as Wings were Paul McCartney‘. Given that Jeff Lynne clearly wanted to be in the Beatles maybe there are some parallels. The band had six UK top ten hits from 1972 to 1974, including two number ones with “See My Baby Jive” and “Angel Fingers (A Teen Ballad)”. Both of those songs hit the top spot in 1973, “See My Baby Jive” was also number one in the Irish chart. Many people probably only know Wizzard for the rather excellent “I Wish It Could Be Christmas Everyday” a song which only reached number 4 in the UK on its initial release in 1973. It has re-entered the top 50 ten times since then, obviously every Christmas time. On that Christmas single the band are credited as Wizzard featuring vocal backing by The Suedettes plus The Stockland Green Bilateral School First Year Choir with additional noises by Miss Snob and Class 3C. Whatever happened to Miss Snob? 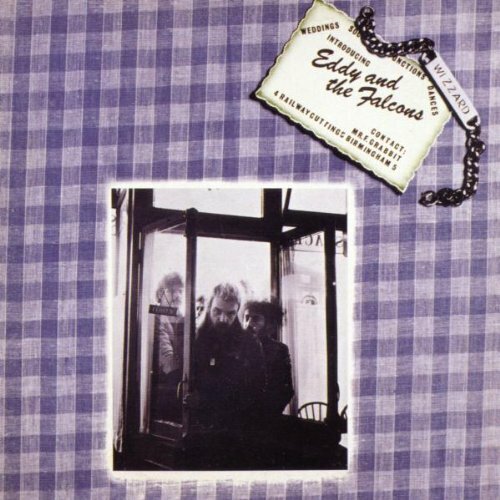 Their first two albums made the UK album top 30 in 1973 and 1974. 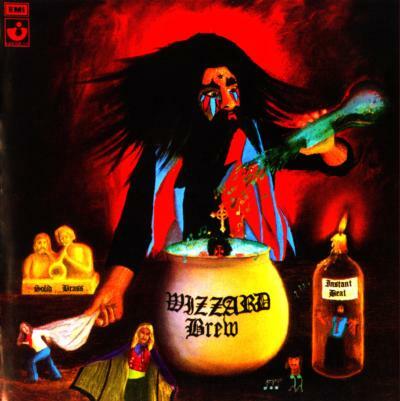 “Wizzard Brew”, number 29 in 1973 and “Introducing Eddy And The Falcons”, number 19 in 1974. Roy Wood is a multi instrumentalist who plays keyboards, horn, cello, guitar, bass and bagpipes. he also wrote some songs that were dedicated to his one time girlfriend, Lynsey De Paul, one of which, “Rock ‘n’ Roll Winter (Looney’s Tune)” reached number 6 in the UK singles charts.